Larry Vrba began his career working for Miriam Haskell in 1969. Vrba soon became a head designer, he worked for Haskell, then Castlecliff and back to Haskell. In 1978 or thereabouts he went out on his own designing for private customers and for theatrical performances. Larry's most recent creation is the crown for King George in the Broadway hit Hamilton . 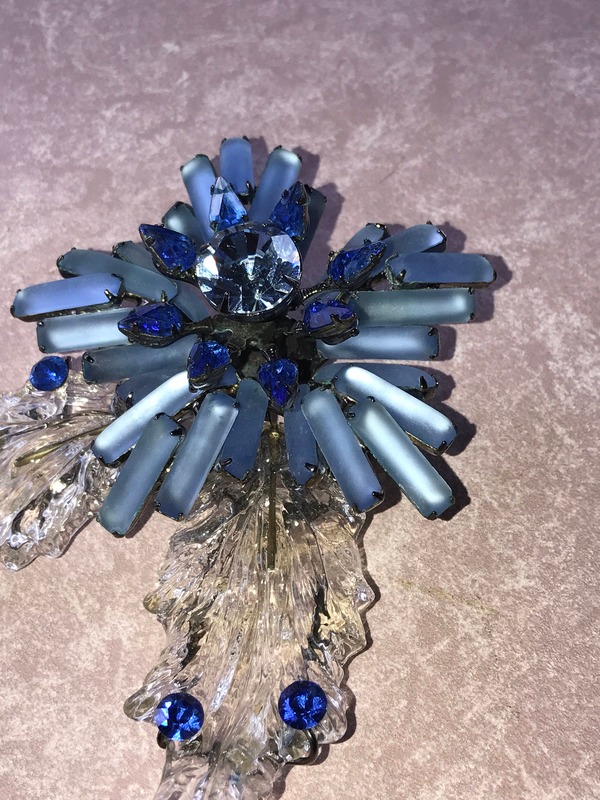 This brooch appears to be in very good vintage condition. This is one of VRBA's incredible multi dimensional pieces. I hope the photographs will show the grand scale of this gorgeous Flower brooch. 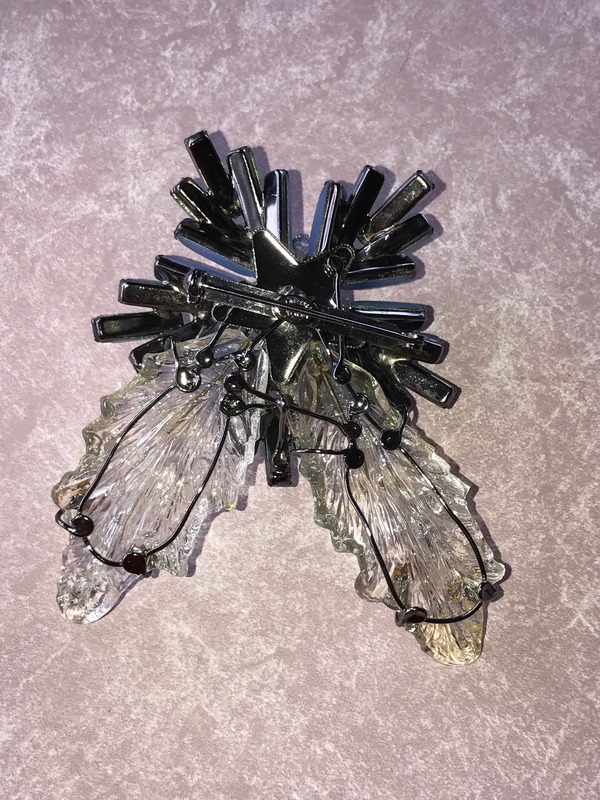 The brooch is 5 inches by 3.5 inches and is very dimensional. This is probably a one of piece as many of his florals were. 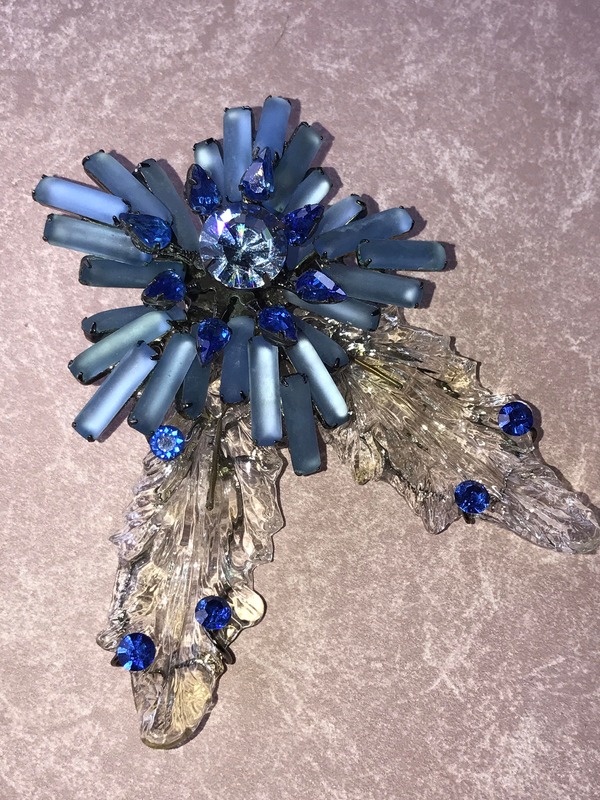 Large lovely clear hand molded glass leaves, Beautiful Blue Satin emerald flower petals, and sapphire chatons and teardrop shaped crystals. Construction would suggest this is an early hand made piece, incredibly layered wire construction and obvious quality hand set stones. Don't let this be the one that got away. Very good vintage condition. The way this brooch is constructed, it could be worn as a pendant as well if you are BOLD! 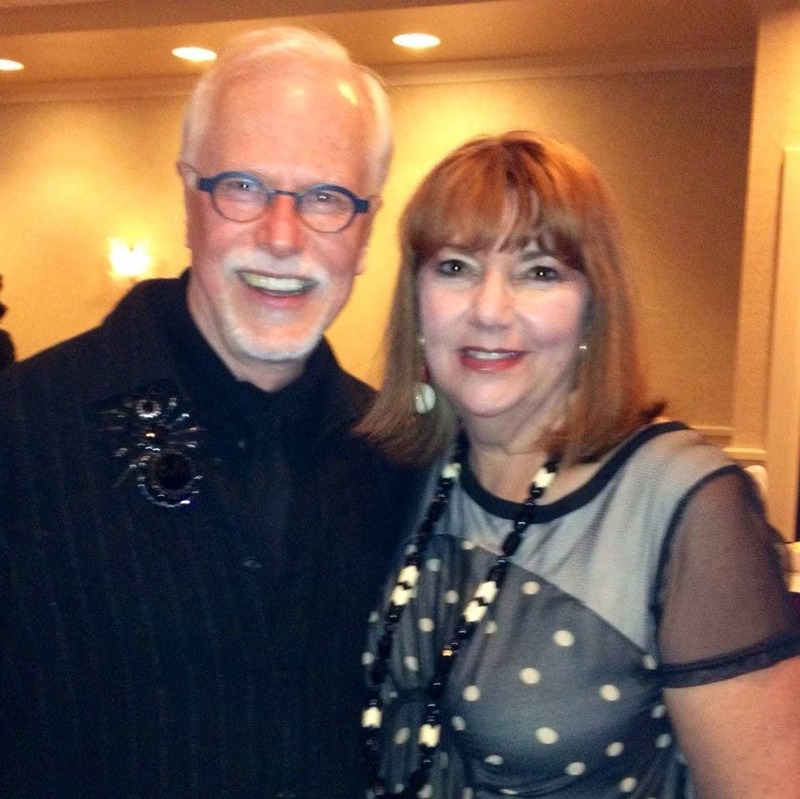 I have included a photo of me with Larry about 5 years ago at the CJCI convention when he received the Lifetime Achievement award from CJCI. This piece is part of a Vrba collection from a recently acquired estate, I will be adding additional VRBA pieces this week.